As per the Aadhar Statistics the Jharkhand population in 2019 is 37,329,128 (37.33 Millions) as compared to last census 2011 is 32,988,134. 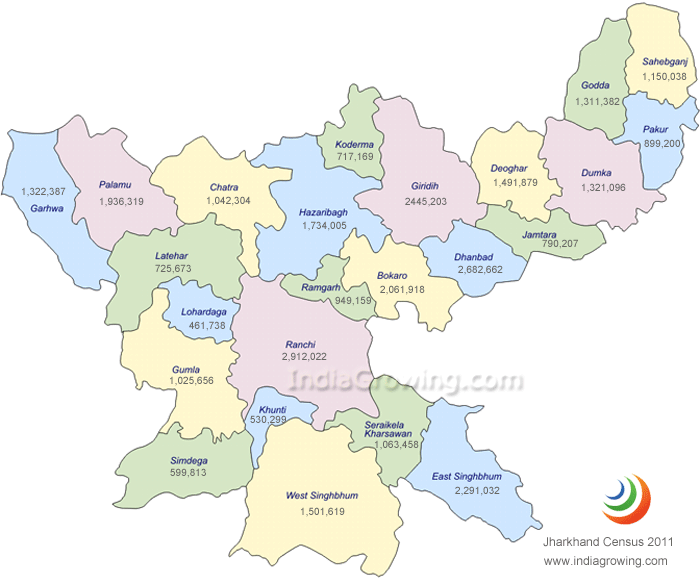 Growth rate of 13.16 percent of population increased from year 2011 in Jharkhand. till 2018. For a long time, Jharkhand remained as a part of Bihar, but after Indian independence, the demand for a separate state of tribals started gaining momentum. In the last fifty years, the tribes of this region fought against the hegemony of Northern Bihar, a region that gained from the mineral deposits of this region like anything.